After a crazy spring, much of June and July has been relatively quiet. We’ve written a bunch of new tunes for the next album and we’ve been working on recording rough demos to see what we’ve created. An actual album is still a little ways off, but we’re excited by what we have so far! In August we’re excited to be heading north and then east to play a few really great festivals. 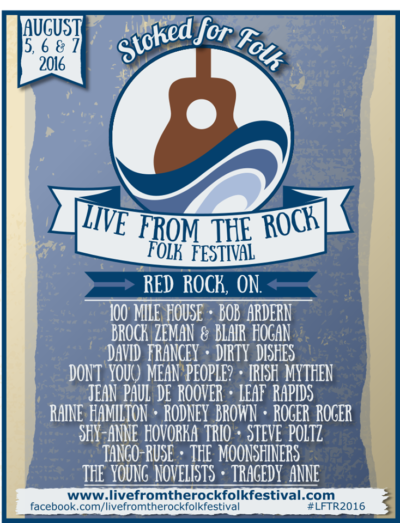 We’ll be at Live From The Rock Folk Festival in Red Rock from August 5th-7th, Trout Forest Music Festival in Ear Falls from August 12th-14th, and then the Arts Alive Festival in… read more. We’re home! After 10 weeks of travel, we are happy to be home and take care of those quotidian joys and household chores that have our attention for a little while. We just harvested the grass (it was knee-high). What fun! 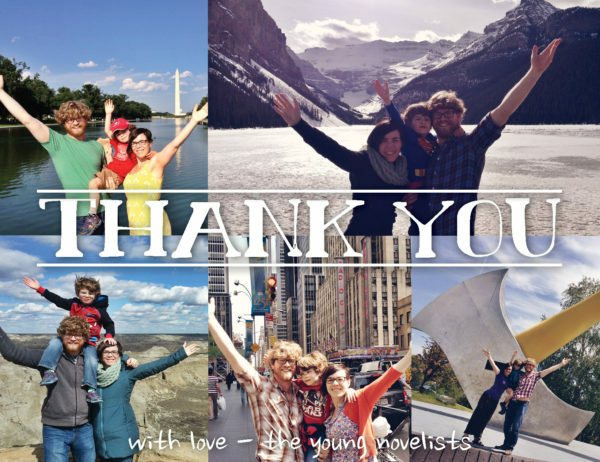 A huge thanks to all the amazing people who made our spring tour possible. We travelled west to Calgary, south to Virginia, east to New England and the Maritimes, and back home again. The tour was filled with wonderful shows and people, and the fact that we got to spend time as a family made it all the more special…. read more. After 38 days, 28 shows, 7 states, and 5 provinces, we’re feeling a little overwhelmed to be home, and don’t quite know what to say other than THANK YOU to everyone who hosted a show, opened their homes to us, came out to see us play, and spread the word about the first half of our spring tour. We had a few days off for laundry, haircuts and dentist visits before the second leg of the tour, which will bring us through the northeastern US and briefly through the maritimes. You can check out all of our tour dates HERE. Spring is the time for roaming the countryside! We’re about to leave for a 10-week tour that will take us from Sudbury to Edmonton, Calgary to Chicago, Philadelphia to New York City to Washington DC to Boston to Halifax and back to Saratoga Springs NY! At the end of the tour, we even get to play some full band shows in Toronto and Wakefield, just to put the icing on the cake. We would love to see you at a show! Full tour dates are HERE. 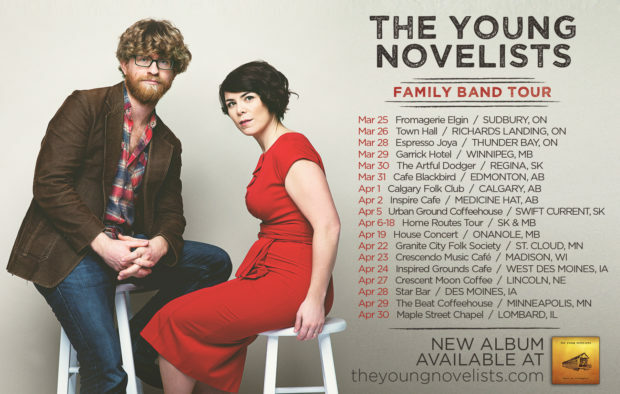 We are traveling on this tour with our son, Simon, (hence the “Family Band… read more. It’s hard to believe we’re well into February now. We’ve had a bunch of really lovely shows in the new year including playing at City Hall for the Mayor (see the piece from CityNews below), the fantastic Octave Theatre in Kingston, and an amazing sold out hometown show at the Burdock Music Hall in Toronto! From the outside it may seem like we’re laying relatively low, but we’ve been busy working on some new tunes and on plans that will see us visiting most of North America… and that’s only a slight exaggeration. We’ll be packing up the van in the last… read more. winner of the 2015 cfma for new/emerging artist of the year! Holy moses we have some exciting news! 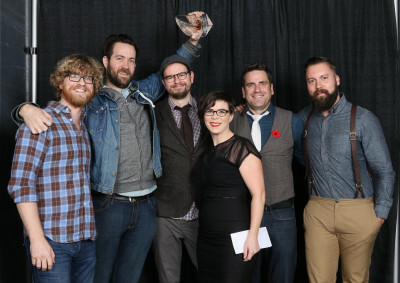 We were the recipient of the New/Emerging Artist of the Year award at the 2015 Canadian Folk Music Awards (CFMA) in Edmonton this past Sunday!! We’ve been getting so many messages of support and congratulations in the last few days, and we very much appreciate all the sweet words. We’ve received such an amazing amount of support over the bands’ six year existence, and we are so grateful to everyone who has come to a show, booked us at their venue, house concert or festival, bought an album, gave us a bed, and spread… read more. Exciting news! 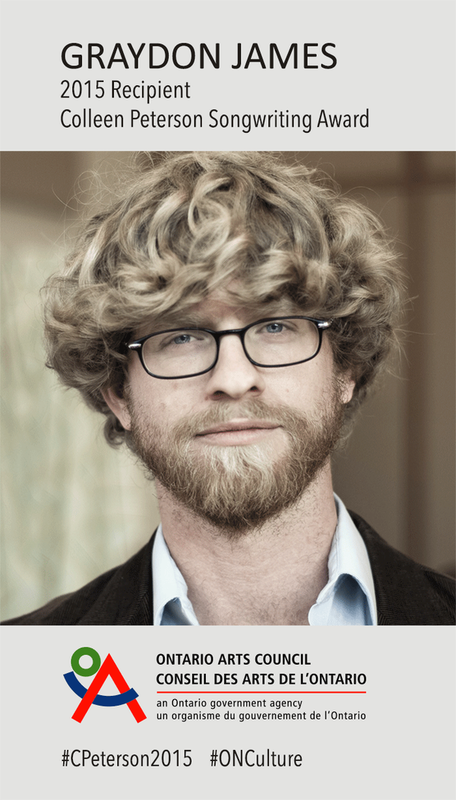 Today it was announced that Graydon is this years recipient of the Ontario Arts Council’s Colleen Peterson Songwriting Award for his song ‘couldn’t be any worse’. 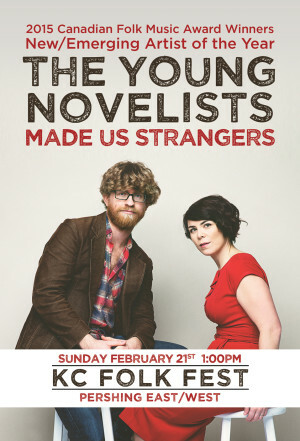 The song is on our newly released album ‘made us strangers’, and features Laura on lead vocals and the very talented Jaron Freeman-Fox and Rachel Capon on strings. We’ll be playing the song at this weekend’s Folk Music Ontario conference in Mississauga at the Stingray Songs From the Heart showcase on Saturday October 17th at 2:55pm in Plaza B. The conference takes place between October 15th-18th at the Westin Bristol Place (Toronto Airport), and we’ll be playing a… read more. We just got back from the United States for a whirlwind two week tour and we’re headed back out on the road, only this time we’re flying across an ocean to get there. 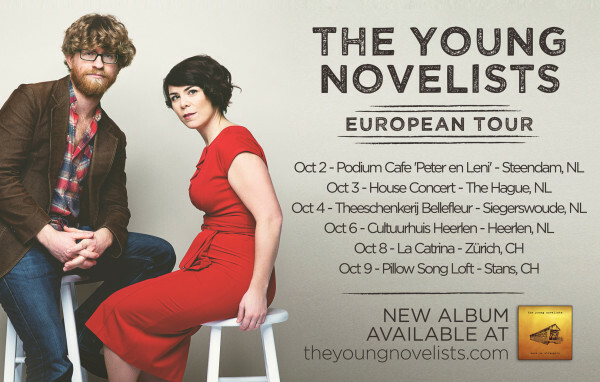 We’re excited to be embarking on our first european tour!! If you have any friends in the Netherlands or Switzerland, please send them our way! UPCOMING EUROPEAN DATES Oct 2 – STEENDAM, NL – Podium Cafe ‘Peter en Leni’ Oct 3 – THE HAGUE, NL – House Concert Oct 4 – SIEGERSWOUDE, NL – Theeschenkerij Bellefleur Oct 6 – HEERLEN, NL – Cultuurhuis Heerlen Oct 8 –… read more. 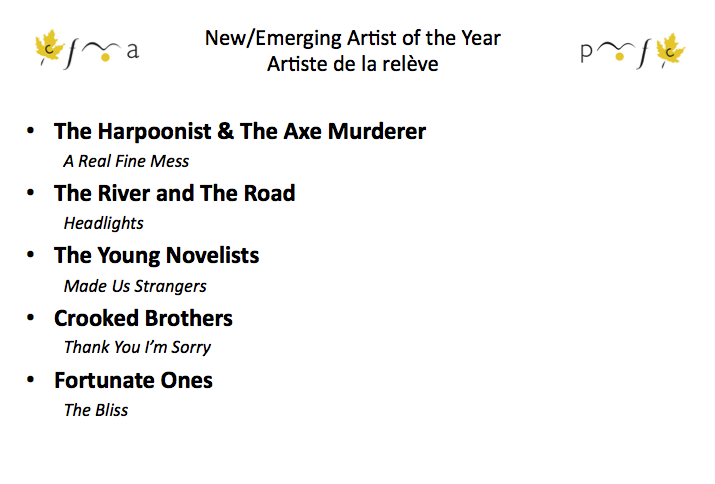 Two 2015 Canadian Folk Music Awards Nominations!! We have some pretty exciting news… We’re over the moon excited to announce that we’ve been nominated for two 2015 Canadian Folk Music Awards (CFMAs); New/Emerging Artist of the Year and Vocal Group of the Year!! The awards take place in Edmonton, Alberta this year and we’ll be performing as part of a nominee showcase on Saturday November 7th. The CFMA gala is on November 8th. A huge congratulations to all of our fellow nominees; The Crooked Brothers, Fortunate Ones, The Harpoonist and the Axe Murderer, The River and the Road, Good Lovelies, The Lucky Sisters, and Pharis & Jason Romero!! A complete list… read more. Summer has come and nearly gone, and we hope you had a great one! Whether it was filled with festivals and/or relaxing time by some water, or perhaps just spent lazily eating ice cream in front of a giant fan, as long as it was enjoyable. Remember: “The time you enjoy wasting is not wasted time.” So said Bertrand Russell! We have been fortunate enough to play some fantastic festivals this summer (Roots on The River, Blue Skies, and Summerfolk were all wonderful!) and many other shows, mainly on weekends. 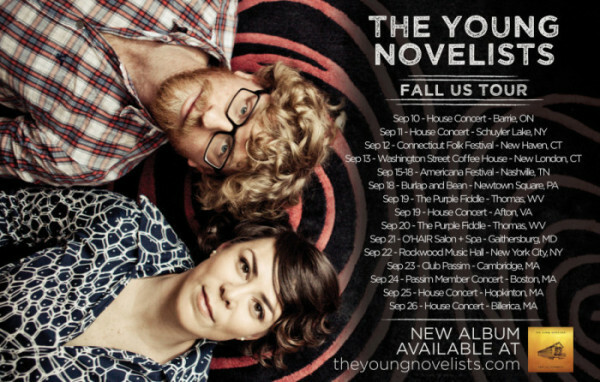 But we’re supremely excited to be heading out on tour again this fall,… read more.